Lots of Notre Dame stuff to get in with a short hiatus due to....stuff. But first, Paul Zeise's Redshirt Diaries has a lot of interesting stuff including the deal about the Gator Bowl, Greg Cross redshirting, Dion Lewis possibly leaving earlier than anticipated, and non-conference scheduling. I always hesitate to declare 'must-reads', but this post has a lot of info in it not related to the game this weekend. So, it seems there are a lot of questions this week. Can Pitt get to Jimmy Claussen? Why does the Big East allow Notre Dame to take bowl spots from the conference? Who should Pitt fans be rooting for in the Cincinnati / West Virginia game on Friday? Despite Dave Wannstedt saying the game doesn't have the meaning of some other rivalry games back in the day, (which, by the way, it doesn't) make no mistake that this is a big one. Pitt will have a large part of the country paying attention for it for perhaps the first time since last year's bowl game. We all know how that turned out. But seriously, Pitt has a legitimate shot to have an incredible season and even they go on to win the conference, a loss would be a disappointment. I'm getting way ahead of myself, but a 10-1 season would mean so much to the program in my opinion. Perception is a funny thing. Dave Wannstedt has recruited well since he's been here, but a 10-1 record could legitimately show bigger recruits that Pitt might not be all that far from a run at a national championship. With the schedule getting tougher, this game is the beginning of a possible program-defining stretch. The game against an unranked opponent falls right before No. 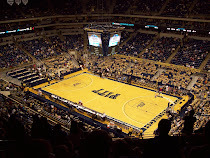 8 Pitt plays archrival West Virginia followed by perhaps the biggest of this season's Big East showdowns - against No. 5 Cincinnati. 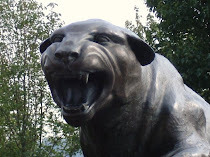 Winning probably won't substantially boost the Panthers' ranking. Losing might derail all the momentum they've spent a half-season building. It's the kind of non-conference distraction many players and coaches dislike so late in a season. There's also been a lot of talk about the different directions Wannstedt and Charlie Weis have gone since their first meeting four years ago, which was also their first game. Had you asked me back then which coach would be with his school longer, I probably would have gone with Weis. I wasn't sold on Wannstedt really until this year. But a lot can happen in four years. Wannstedt is now a trendy pick as a top candidate for Coach of the Year Awards (must be an insider to view) while the Notre Dame media has lots of questions regarding the fate of slumping coach Charlie Weis. And speaking about coaches, does this mean if Navy coach Ken Niumatalolo takes over at Notre Dame, that Associate Head Coach Norwin Brown wouldn't be retained? Defensive philosophies are different between each team. Pitt relies on its front four to bring pressure, while Notre Dame uses the blitz quite often. John Malecki and the offensive line will have their hands full. All-World Tight End Dorin Dickerson and the passing game will look to burn them on blitzes. And speaking of defense, Pitt's secondary will be tested by the Michael Floyd / Golden Tate combination. We should have a pretty good idea whether the secondary's issues have been solved after this game. I think the secondary will be the key to whether Pitt wins or loses this game. Meanwhile, the City of Pittsburgh officially jumps on the bandwagon with the Turn It Blue promotion. To be honest, it'd be nice if the City supported Pitt a little more in my opinion. You rarely hear of this type of stuff. I'm well aware that Pitt is only one of several universities in the area, but it's the main one as far as athletics are concerned. Despite being a solid football program and recent basketball power in a city that has no NBA team, Pitt always seems to get the short end of the stick when it comes to hyping up the major sports teams in town. - Game preview from the Notre Dame side. - And I may be wrong on this, but I have a hard time believing Pitt isn't a little more excited than they're letting on about the top ten. It's a big deal. Now onto a prediction since a post may not happen due to a visit from in-laws. I expect Pitt to win this game as I don't think Notre Dame is a strong as people have been making them out to be. I think the only thing that may keep it close is if the secondary plays poorly. I don't expect the ND defense to shut down Pitt's offense, but they are fully capable of outscoring them. Let's go with 30 - 24, Pitt. Just kill those effin leprechauns!!! The whole world smiles when Notre Dame loses.